Fungicide issues worse in U.S. Potatoes may, in many ways, be the perfect candidate for precision agriculture. They’re a high-volume, high-value and high-input crop and the industry has already invested more than other sectors in soil and drainage mapping, variable rate technology and management zones, according to one agronomist who works closely with potato growers. Trevor Thornton’s Crop Care Consulting says all these factors, and the way quality trumps quantity when it comes to crop value, all add up to a convincing case for adopting precision agriculture. 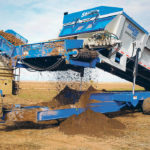 Most of his clients are already using variable rate application for nutrients like phosphorus, potassium, nitrogen and magnesium as well as lime, an input tailor-made for the low-pH-loving potato plant. 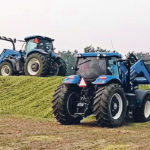 “Some of the farms are variable rating just a couple of products and then doing a blend across the field,” Thornton said, adding that he prefers the added control of doing a single nutrient at a time. 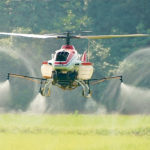 Talk of drone use has become almost ubiquitous in the agriculture sector in recent years. Some farmers are buying their own, while other farmers are employing companies specializing in the technology. All are seeking greater insight into their crops using imagery, including infrared cameras. When it comes to root crops, however, an eye in the sky may not hold the same value since the crop is beneath the soil. It’s a problem that was also noted during Manitoba Potato Production Days in Brandon earlier this year. Bernie Zebarth, of AAFC’s Fredericton Research and Development Centre, outlined similar problems during his Brandon talk. At the same time, he isn’t ready to give up on imaging. While cameras can’t pierce the ground, he noted that drone images can still be used to monitor growth, disease, insect damage and drought. In particular he’s touting a switch from NDVI (normalized difference vegetation index, commonly used for aerial imaging) to WDVI Green, an index that does not saturate high leaf areas the same way. His team noted that the bushy potato plants started to blur NDVI images once the canopy closed. Elevation mapping, a critical key for drainage plans, and aerial services for potato plant counts, have also become more common. Thornton is applying that high-definition soil mapping to fine-tune another emerging technology, variable rate irrigation. The consultant has been using water modelling from the soil sensor and elevation data to predict water needs, flows and related nutrient impacts across the field. “There’s definite opportunities to manage the water in those scenarios and manage the nutrients,” Thornton said. “In some of the farms, it’s predominantly to back the water off from areas that will normally flood out. Variable rate irrigation has gleaned interest both for production gains and for sustainability. Like most of agriculture, the potato industry faces growing public pressure to grow food with an eye to the environment and companies like McCain have implemented sustainability plans, including water use. Thornton’s company has helped apply the technology near Carberry, Glenboro and Treherne in recent years. Last year, Thornton worked with two sites near Carberry, and between three and four sites near Glenboro and Treherne. He expects those numbers to grow to at least three sites near Carberry and four to five near Glenboro this season. But while variable rate irrigation has garnered interest, Thornton warned that the up to $50,000 cost might be prohibitive. Hardware has also been a significant obstacle, Thornton said, and he has had a long list of calls from producers looking for programming help. The equipment has not been user friendly to the technological novice, he said, and many producers do not have the more advanced programming skill to properly set up their pivot. Yield monitors provide another avenue for precision agriculture, although Harvey Chorney, Prairie Agricultural Machinery Institute vice-president of Manitoba operations, says parts of that technology still need to be explored. “The issue that they’ve got with monitoring yield on potatoes is that you can collect the weight and that information, but you don’t know how much mud is going in at the same time, which slows down the calibration of the weight,” he said. PAMI does not have any active research planned on the issue, although the topic has been brought up, Chorney said. Several PAMI projects have also focused on drainage, which could be applied to potatoes. 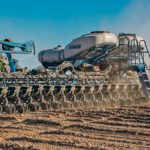 Precision agriculture has become huge business, with an ever-growing number of companies pitching data services and precision equipment on the promise of greater efficiency. At the farm level, however, the form of precision agriculture may vary widely from operation to operation, according to AAFC’s Cambouris. The largest problems are no longer technology, but rather agronomy, both Cambouris and Zebarth said, although Zebarth noted a gap between farmer technical knowledge and the growing sophistication of machines, an observation in line with Thornton’s own experience adapting variable rate irrigation. In her research in Eastern Canada, Cambouris has run into problems with variable rate technology where fertility recommendations were not detailed or advanced enough to make use of the technology, although she noted that research is underway to get a better grasp on ideal nitrogen application using management zones. Zebarth argues that technological advances are outstripping agronomic knowledge, leaving farmers with a wealth of data but lost on how to apply it. Thornton, himself, has been caught up in the learning curve and he says he is still fine tuning his ability to interpret the data. Bringing in soil sensors changed the data reference when translating those results into management practices, he said, and his company has been forced to take a step back and run some trial and error when integrating new technology. 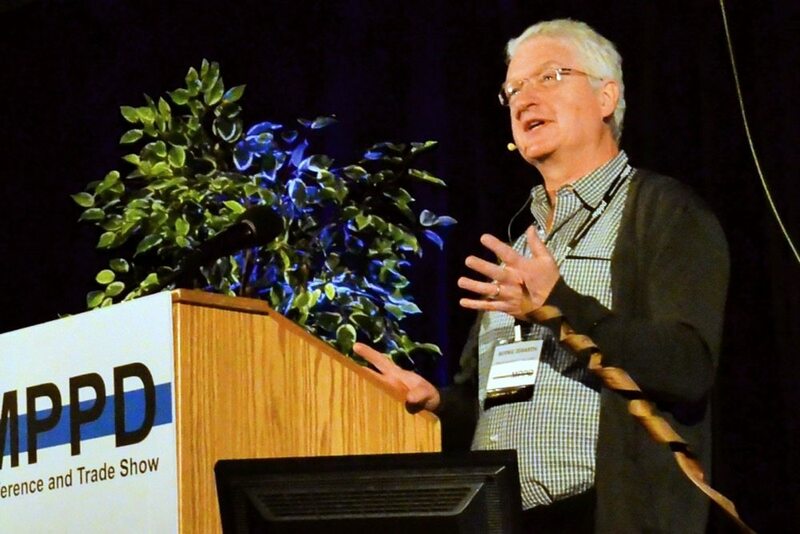 Even so, he says the increasing pile of data gleaned every year might eventually give insight into cause of variability in the field, something that would not only benefit potatoes, but field crops as a whole.